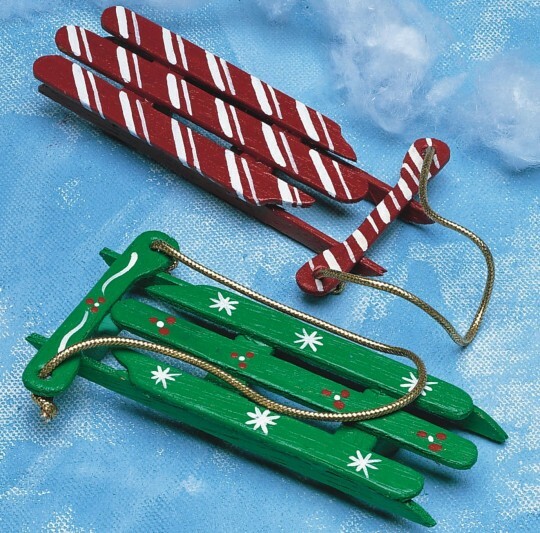 Add To Any Tree, Holiday Display or Festive Package! Fun Mini Wood Sleds - Make up to 100! Includes precut pieces, glue, paint and brushes. Impressed with he glue it dried fast and held tight. Did not look at all the contents when I ordered. So I was impressed that really everything needed was in the box including sand paper. Ready to make craft! It is set up to be easy and it is great for functions where you do not know exactly how many you may need. Store easy for future use. 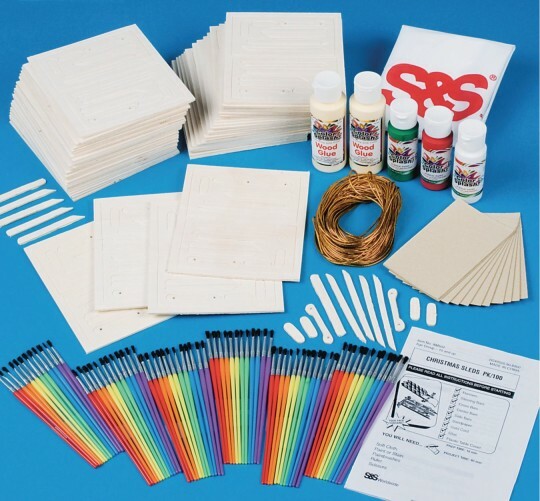 These worked great for family projects. Families could let younger children paint and then parents could assemble. Also great for elementary and up school kids to do on their own as presents. very versatile and makes great gifts.